Over a Quarter-Million Views and Growing! This is part of a series of interviews conducted by Steve Hawkins, president of the Coalition for Public Safety, featuring individuals taking the initiative to change the justice system within their sphere of influence. How deeply should brain science inform our approach to crime? In many justice reform circles, that’s up for debate. Research showing that human brains do not fully develop until the age of 25 has led many correctional leaders to reconsider the age at which young people “age out” of the juvenile justice system. If younger minds are more amendable to treatment and rehabilitation, the logic goes, why not take the opportunity to get things right? Enter Scott Semple, commissioner of the Connecticut Department of Corrections. Connecticut’s journey to justice reform has already produced a notable decrease in both the crime rate and prison population, freeing up space and resources for Semple and others to more expansively rethink how to effectively administer justice. Semple has taken that opportunity to hone in on youth incarceration and recidivism with the creation of the T.R.U.E. Unit — a program for incarcerated young adults within the Cheshire Correctional Institution, designed specifically for 18–15 year olds. Young adults incarcerated at Cheshire are taught both practical and relational skills with the goal of helping them avoid the cycle of recidivism and emerge capable, compassionate adults. I had the opportunity to connect with Commissioner Semple about his vision for the program at length. The interview has been edited for clarity. S.H. : What was the source of inspiration for your new second chances initiative at the Cheshire Correctional Institution, and why are you launching it now? 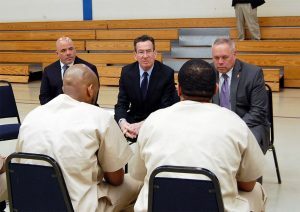 S.S.: In 2015, I had the pleasure of visiting prisons in Germany with Connecticut’s governor, Dannel P. Malloy, and members of the Vera Institute of Justice. Among the many remarkable things I witnessed was a prison facility, which housed only young adult offenders. The operation of the facility was geared to the specific needs of that age group. 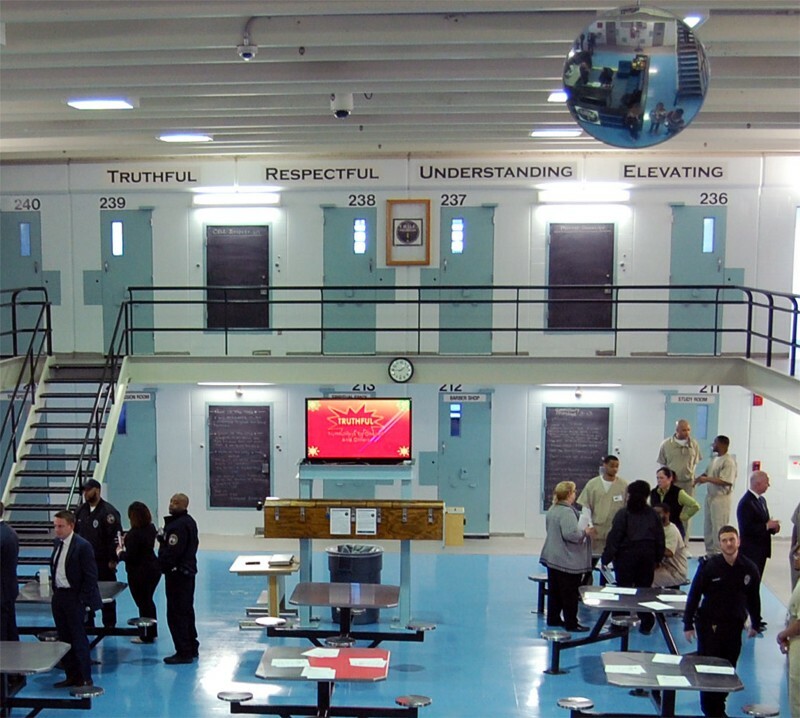 The goal was to launch a similar facility within the Connecticut Department of Correction. Initially, we had hoped to dedicate an entire facility to the needs of young adult offenders, but due to fact that this was a groundbreaking concept, coupled with a difficult fiscal climate, the decision was made to start out by opening a single unit within a facility. After much planning and hard work, the unit officially went online in March 13 of 2017. S.H. : What is the history of Cheshire, CT, and why was this the place you launched T.R.U.E.? S.S.: The building that comprises the original portion of the Cheshire Correctional Institution predates the inception of the Department of Correction as a state agency by more than 60 years. Established by the Connecticut General Assembly in 1909 and opened in 1913 after three years of construction, the facility was first known as the Cheshire Reformatory. Ironically, it was designed as a reformatory for male offenders ages 16 to 24, with the intention of separating these offenders from the adult prison population. Within the context of the Department of Correction, the Cheshire Correctional Institution houses primarily long-term sentenced adult offenders. The reason this facility was chosen as the site for the T.R.U.E. Unit is, quite simply, its staff. Warden Scott Erfe, the management, as well as the rank and file of the facility all embraced the challenge of implementing this new concept. In fact, more than 100 staff members volunteered to work in the new unit. S.H. : This program focuses specifically on 18-to-25-year-olds. What is unique about this age group, and why is the state investing in changing their outcomes in the justice system? S.S.: Scientific research has shown that the brain is not fully developed until around the age of 25. Neuroscience has shown that a young person’s cognitive development continues into their early twenties, and that their emotional maturity, self-image and judgment will be affected until the prefrontal cortex of the brain has fully developed. Offenders in this age group frequently display poor decision-making ability, and are also prone to impulsive behavior. These factors, when combined, all too frequently result in disruptive behaviors which endanger not only themselves and other offenders, but staff as well. It is in everyone’s best interest to attempt to better manage this age group with the hopes of reducing the number of violent incidents within our facilities. S.H. : The program is titled: T.R.U.E., which stands for Truthfulness, Respectfulness, Understanding, and Elevating. What is the importance of each of the elements? S.S.: Ironically, the actions defined in the acronym of the T.R.U.E. Unit, are actions that offenders, especially in this age group, struggle with. They struggle with being truthful, with being respectful, with understanding another person’s[perspective]. The acronym T.R.U.E. serves as a constant mental, as well as visual, reminder of what they are striving for, what they aspire to be. S.H. : Describe how the program works. S.S.: The program works on a therapeutic community based model that applies behavioral modification techniques in association with peer mentoring guidance from offenders who are serving life sentences. Family support is also a key component of the unit. S.H. : How does T.R.U.E. differ from previous approaches in Connecticut, and why do you think it will work? S.S.: We have never before targeted the specific age group of 18-to-25-year-olds. Up until now, the demarcation between an adolescent and an adult was 18. If an offender was 18 years old, they were not only considered adults, but they were also treated like adults. We now know, thanks to scientific research, that this may not be the best approach. To be candid, because this is the first of its kind unit we are facing many unknowns. However, early anecdotal reports indicate that the changes are working. As time goes by, we will collect data on such factors as disciplinary reports in order to create tangible performance measurements for the unit. I also firmly believe that, thanks to the high caliber of the staff members working within the unit, the T.R.U.E. Unit will be successful. S.H. : What role does family play in the rehabilitation of people behind bars? S.S.: Simply put, family support plays an essential role in the rehabilitation of offenders. If offenders have strong family support, their chances for successful reintegration are greatly enhanced. That is why staff at the T.R.U.E. Unit have made additional efforts to engage and connect with the family members of offenders. They have gone out of their way to invite family members of the incarcerated to informational session at Cheshire. The staff has also taken the added measure of creating a special email address for family members of those in the unit. The email address allows for specific information related to be shared quickly and frequently, thus keeping family members and offenders invested in the success of the unit. S.H. : The T.R.U.E. mentors are serving life sentences. How does this program challenge some of our assumptions about people sentenced to life in prison? S.S.: It is often assumed that those serving life sentences have no incentive or motivation to act in a constructive manner. After all, no matter what a “lifer” does, he’s never getting out. The reality is that many lifers feel the need to find some meaning or value in their lives. They often informally offer advice to younger offenders, hoping to help them avoid the mistakes they had made. The use of lifers in the T.R.U.E. program is a win/win/win situation. The young offenders, or mentees, benefit from the wisdom of the mentors. The lifers are able to feel that they are being productive by giving something back. Even the staff wins, as the mentor/mentee relationships improves the overall climate in the unit. S.H. : Was it counterintuitive to imagine people who have committed serious crimes helping younger men chart a new course for their lives? S.S.: For someone not familiar with a correctional environment, the idea of a lifer helping anyone is indeed counterintuitive. But for those who work inside prisons, older offenders giving advice to younger offenders is a daily occurrence. S.H. : It’s not always immediately intuitive to people that an investment in changing correctional practices can be an investment in public safety. How do you see this as ultimately upholding the safety of all of Connecticut’s diverse communities? S.S.: A frequently quoted statistic is that 95 percent of all offenders will eventually return to the community. Would you rather have offenders return to their communities and just pick up where they left off with antisocial and violent behaviors? Or would you rather have them equipped with the support and knowledge necessary to enable them to return as productive, law abiding members of society? S.H. : How have correctional officers responded to and engaged in the T.R.U.E. program? S.S.: The officers’ reaction to working in the unit has been extremely positive. Who wouldn’t want to feel like their efforts are having a positive impact on the lives of others? S.H. : Do you have any favorite stories from the program to date? S.S.: The vast majority of the staff members working in the T.R.U.E. Unit are seasoned correctional veterans with many years of experience. Traditionally, these staff members have always thought of offenders as inmates — undistinguishable, interchangeable, and incorrigible. While speaking with someone working in the T.R.U.E. Unit, they referred to the offenders in the unit as mentors and mentees. Having an appreciation of correctional culture as I do, this seemingly simple change in terminology in fact represents a significant change in the way we do business. S.H. : How do you plan to measure success of the T.R.U.E. program? Does the Connecticut DOC track recidivism rates in all of its facilities? S.S.: We are collecting data specific to the T.R.U.E. Unit on such things as disciplinary infractions. It will take some time, but we will also compile recidivism statistics specific to the unit as well. S.H. : Do you have plans to expand this program or bring similar versions to other Connecticut facilities? S.S.: Plans are already in the works to open a similar unit at the department’s only female facility, the York Correctional Institution. If all goes as planned, the unit should be up and running within the next six months. S.H. : What would you like your legacy to be when it comes to justice reform in Connecticut? S.S.: I am no different than anyone else. Just like the staff of the T.R.U.E. Unit, I am trying to implement policies that will have a lasting positive effect on the lives of offenders.